Just Ibiza Vip is a company with ten years experience dedicated to provide high quality tourism services to all its customers. 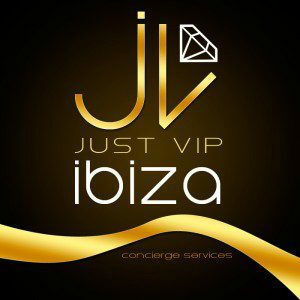 From Just Vip Ibiza, we offer personal assistants to manage accommodation and personal shopper, among others. Makeup artists, hair stylists, massage therapists, personal trainers, beauticians, babysitters and photographers will be available at the time you need. Our drivers will take you anywhere on the island 24 hours a day, 7 days a week. The best boats are available for rent and sail in Ibiza and Formentera. We organize any kind of event with the best caterers, cooks, bartenders, deejays; likewise, the best hostesses, models and gogos from the Island will attend their events. We are dedicated to managing reservations for stays in luxury villas and apartments in Ibiza, as well we manage vip reserved in trendy clubs and restaurants on the island. A team of security professionals will be at your side, all time to safeguard your security. From Just Vip Ibiza we involve to organize each request and deliver the best of the island in order to satisfy each and every one of our customers, so that every moment is unique and unforgettable.